Конкурс - "VIDEO WMT Day 2014"
After main day of WMT Day celebration - video contest took place. Local Organizers sent videos with their World Multiplication Table Day celebration. Chosen videos were voted on WMT Day Facebook official profile. 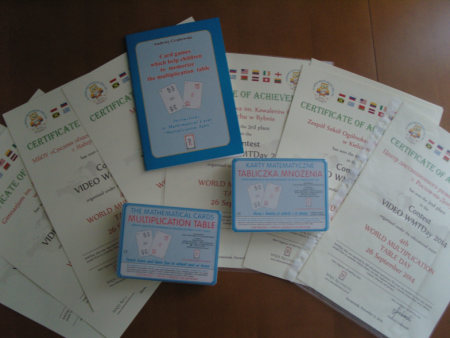 Contest laureates received diplomas, mathematical cards "Multiplication table" and books with the games descriptions.